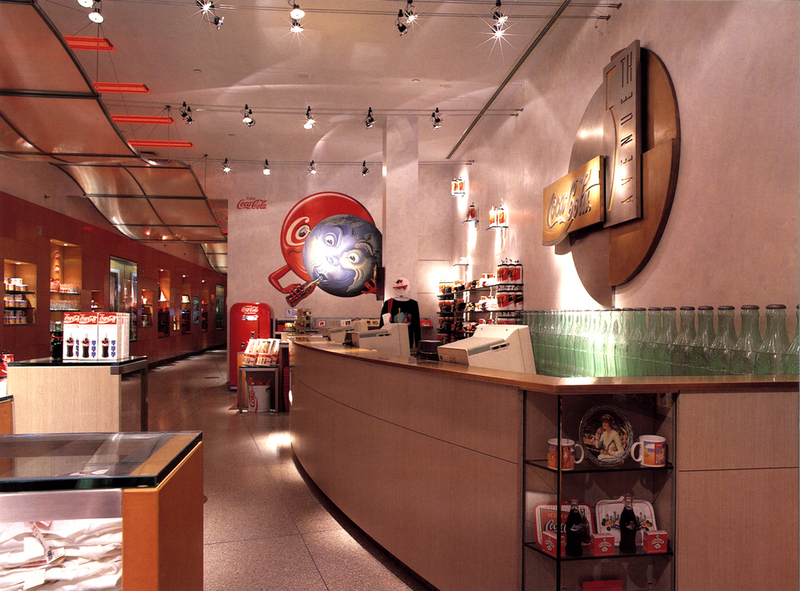 With RRA’s keen sense of the consumer’s shopping experience and an understanding of the company’s global strategy, Coca-Cola Fifth Avenue sought a store that would delight in the vintage history and fun of one of the world's most visible brands. 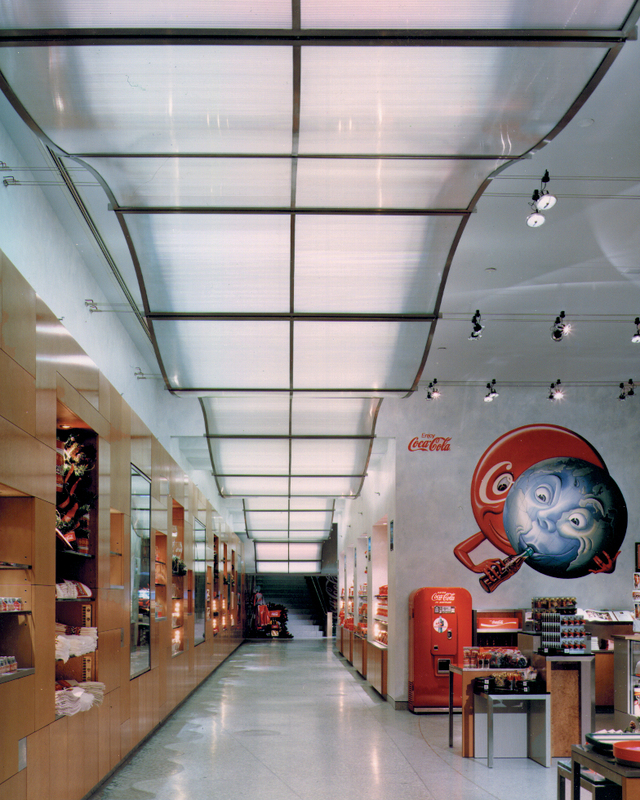 A key element enticed visitors into the 150 ft. long store with an illuminated path flanked by a captivating wall display, floor pattern and undulating ceiling treatment. Visitors are encouraged to linger as they view interactive videos, exhibits and merchandise. A monumental staircase and sculptural bronze railings along the narrow space holds the attention of the busy shopper in one of the highest-profile shopping districts on the planet.